The industry continues to lower expenses as passive management grows in popularity. Target-date funds' results lag their index. The average target-date fund posted returns of close to 4% return in the second quarter of 2014, according to Morningstar. The funds were buoyed by U.S. large-cap, emerging market and real estate equities, the research firm says in a report released Wednesday. “During the second quarter of 2014, the average target-date fund gained 3.8%, falling in between the returns of the S&P 500 and the Barclays U.S. 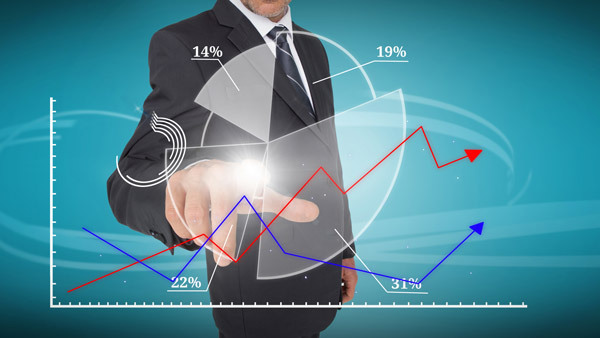 Aggregate Bond Indexes,” explained Jeremy Stempien and Cindy Galiano in the report, which was compiled by Ibbotson Associates and tracks 451 funds from 50 fund families. For the 12-month period, the target-date funds had average returns in the high-teens territory; these results were tied to strong equity gains in the period. The average return was 17% compared to 24.6% for the S&P 500. The major U.S. equity categories have improved 22.5% and up over the past 12 months, while emerging market equities rose 14.7%. Large-cap growth equities, for instance, jumped 26.9%. During the period, high-yield bonds increased 11.7%. Still, target-date funds continue to slightly underperform vs. their Morningstar Moderate Index counterparts; these indexes, though, have the advantage of not incurring expenses and have slightly above-average allocations to emerging markets. The Morningstar/Ibbotson analysts also highlight two key industry trends. First, target-date assets are continuing to shift to passively managed investments, “as both an underlying holding within a portfolio and as an overall investment approach. Actively managed strategies comprised almost 90% of target-date mutual fund assets in 2005, but they now only hold a 67% share. As for fees and expenses, target-date funds’ average asset-weighted expense fell 7 basis points, to 0.84% from 0.91% from 2012 to 2013. In 2010, the average was 1.02%. Total assets in retail target-date topped $690 billion at the end of June, a 27% increase from a year ago and a 6.5% from the prior quarter. Estimated target-date net fund flows during the second quarter totaled nearly $15 billion, above the five-year historical quarterly average of $12 billion, according to Morningstar. Vanguard, T. Rowe Price and JPMorgan had the largest net inflows during the quarter and captured 70% of inflows. Other fund firms that had impressive growth in assets during the quarter include MassMutual, PIMCO and American Funds; net inflows into target-date funds represented 10%–15% of their ending net assets. In the second quarter, the target-date industry experienced several changes. Hartford liquidated the Hartford Target Retirement series, while Legg Mason acquired QS Investors and changed its target-date series to QS Legg Mason Target Retirement funds.